What makes a good zombie book? Can a New Zombie Book Get Published? 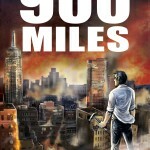 Coming soon: 900 Miles – A new zombie book.